It appears President Buhari has been offended by some seeming offensive comments made by a former Nigeria Labour Congress chairman, Adams Oshiomhole. 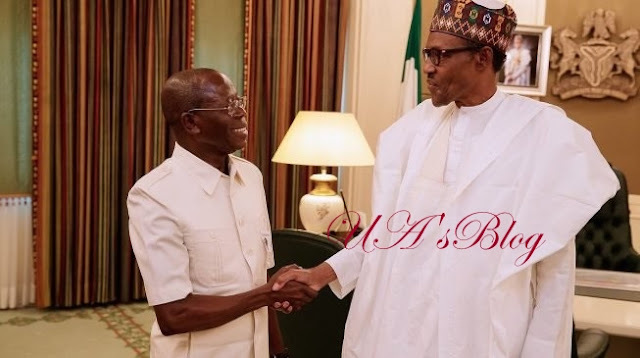 APC national chairman Comrade Adams Oshiomhole was at the Presidential Villa, to see the President after the weekly Federal Executive Council, FEC, meeting at the Council Chamber. “For me it is the height of mischief for any minister, you cannot purport to be honourable minister and you act dishonourably and nobody is greater than the party. “And if the President condones disrespect for his office, I will not condone disrespect for the party.